When you think of Dubai the first thing that comes to mind is the luxury and extravagance of the city. 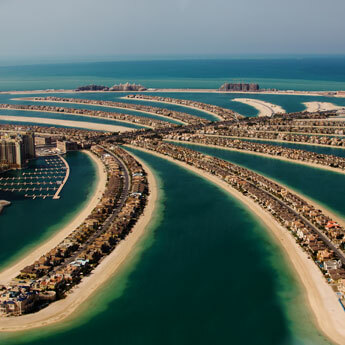 Most people immediately write it off as an impossible pipe dream destination due to the assumed expense of the trip, but did you know that Dubai might be more reasonably priced than you think? Let’s have a look at how cheap it can actually be! 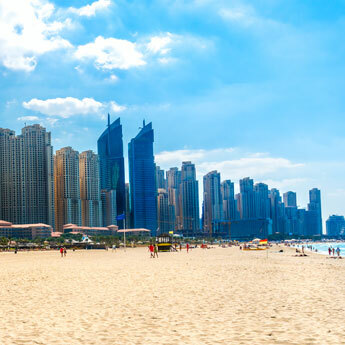 Dubai has so many hotels that it can afford to cater to all budgets – it may be home to a large number of 5-star hotels and even one 7-star but that doesn’t mean there isn’t plenty of accommodation options for the smaller budget. The great thing about Dubai is that there is such a generally high standard of living even a 3-star hotel can feel like the height of luxury! Dubai boasts plenty of high-end restaurants, but that doesn’t mean there isn’t a huge range of choice for cheap eats! Al Dhiyafah Road is where the Dubai locals head for casual, affordable dining, and the neighbourhoods of Deira and Satwa also offer authentic cuisine at rock bottom prices. The shopping malls are also a good choice – the food courts in particular are extremely cheap and offer plenty of options! Unfortunately alcohol is one thing that is expensive in Dubai, so you have to be smart to keep the prices down. Many bars and restaurants do generous happy hours, so take advantage of these and then stick to soft drinks for the rest of the evening. So many of the things to do in Dubai are completely free! You can sunbathe on the public beaches, browse the shopping malls and souq markets, visit the ‘Old Dubai’ area of Bastakiya or watch the light and music show at Dubai Fountain, all without spending a single penny. 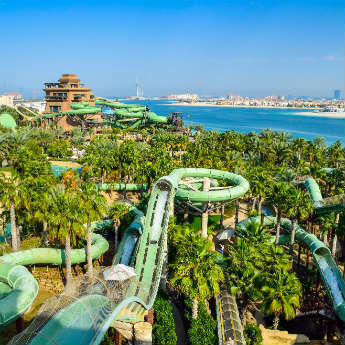 Of course there is a fee for the most high profile attractions such as waterparks, desert tours and the Burj Khalifa, but the beauty of a Dubai holiday is that it can be as cheap or as expensive as you make it. Dubai has an excellent transport system comprising of buses, trams and a metro. All these forms of transport are relatively cheap; an adult metro ticket starts from just 2AED (approximately 35p) or you can buy a day pass for 14AED (£2.50), while a tram ticket can be purchased for 4AED (around 70p). Even if you choose to splash out on a taxi the fares are very reasonable, and there’s no risk of being ripped off as DTC regulations state that any un-metered ride is free.